The operational supervisor and his two assistants are responsible for the quality checking phase. 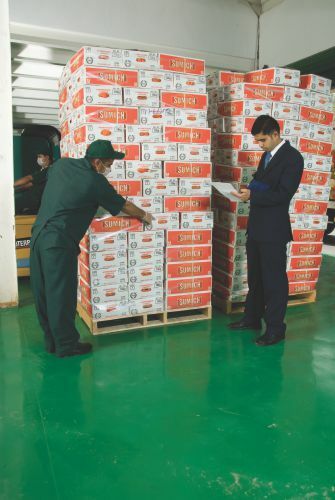 They supervise a team of individuals who check the quality of the items, one by one, before placing them in clean plastic crates, and loading them into the temperature controlled vehicles. We are currently in possession of a HACCP certification, which means that we are meeting, and maintaining the highest standards of quality and hygiene level at the highest standards possible. In addition, each and every staff member in Haidari Trading has experienced a hygiene and sanitation course, to ensure that all the hygienic and sanitary requirements of the company are met. Regarding pest control, we have a contract with a company which visits our sites on a monthly basis. When it comes to waste management, we have our own garbage truck, and several large green bins. Waste is carried by the employees who are solely responsible for the cleanliness of the facilities, to the facilities, to the large bins and dumped there. From there our garbage truck takes the waste to the proper location for the waste to be dumped. Employees are made to wear masks while handling the fresh items, to minimize chances of infecting the items. Employee accommodations are cleaned frequently by the cleaning personnel. All meals for the employees are prepared by our own team of chefs, ensuring that the food they eat is clean. In addition, all staff have their meals in a large designated dining area. Minimal air pollution is caused from our vehicles, because they are new, and they are regularly serviced by our own team of mechanics. Our staffs are also encouraged not to waste excessive water. our state-of the-art warehouse facilities are second to none. In order to satisfy our clients. The sole supplier to the US Army base in Qatar for the past six years, Haidari Trading is subject to external quality control checks by the US Military Health Division. 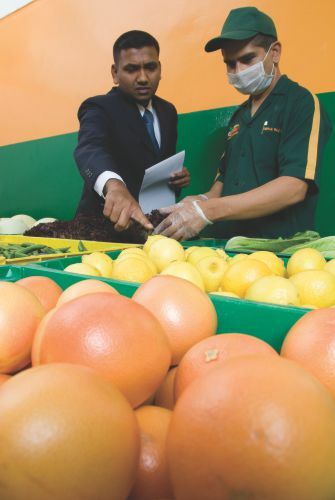 Annual Food Safety and Quality Audits are conducted in order to ascertain that all fresh produce is of supreme state. 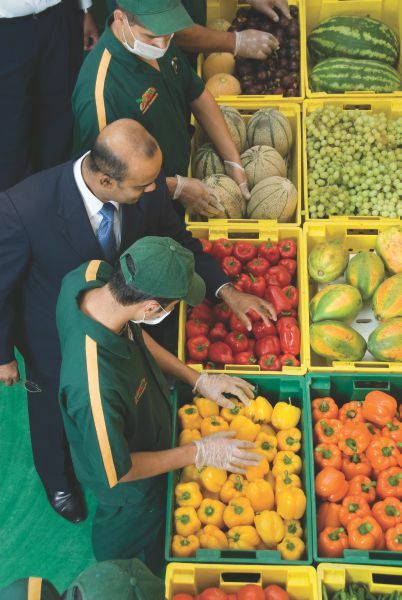 Subsequently, Haidari Trading has scored more than 90% on the annual audits and has been ranked as a grade a supplier for fresh fruits & vegetables. Ensuring absolute quality and food safety in accordance to our mission of self-improvement, we are certified in Hazard Analysis and Critical Control Point (HACCP) and ISO 9001:2015. These certification provided Haidari Trading with worldwide quality and food safety standard recognition.